We may have been basking in some gorgeous summer-like weather lately, but classes have begun and that means we are well and truly into fall. It had been very quiet around campus — though I find the hush kind of dreary sometimes, I’d gotten used to it, and I’ve been feeling kind of cranky at the return of loud, cheerful voices in the hallway, doors opening and closing all the time, and other people impeding my progress on the narrow stairs! But the renewed energy is welcome, as is (mostly) the return to a more active, immediately demanding routine. It’s generally a bit quiet online over the summer too, so I thought I’d repeat last year’s idea and do a quick review of my summer activities, partly to bring people up to date who haven’t been around very much and partly to take stock myself. 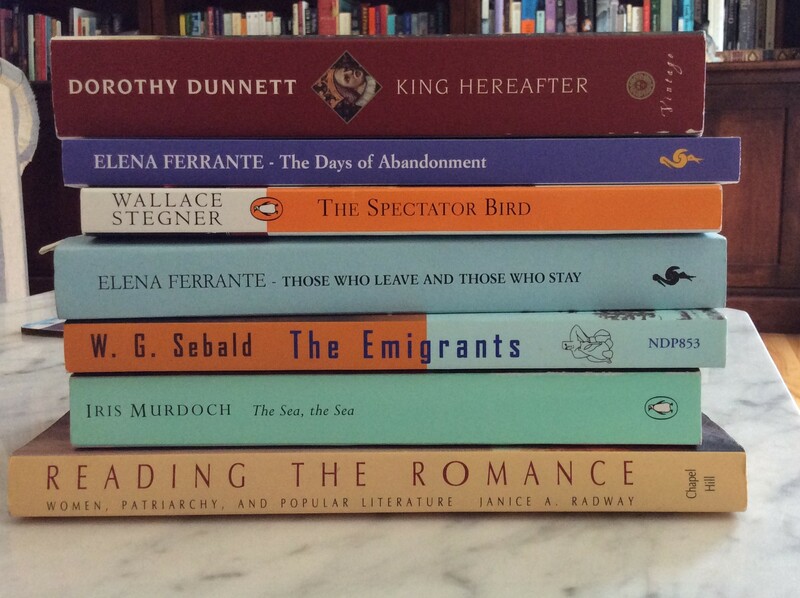 There were only a few real standouts in this summer’s reading. Chief among them is Dorothy Dunnett’s King Hereafter, which was a slow burn but became that most precious of reading experiences: something satisfying and immersive on every level. 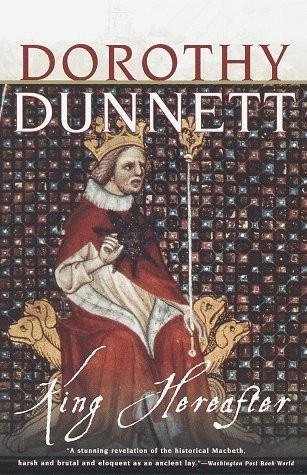 I know Dunnett’s Lymond Chronicles so well that it was hard for me at first to adapt to the very different tone and pace of King Hereafter, but I can see why it is often referred to as her masterpiece. Reading it also prompted me to give Niccolo Rising another chance, and now I’m ready and eager to make my way through the rest of that series — though I doubt I’ll ever love it the way I love the Lymond books. Some of the other rewarding reading I did was rereading with an eye to writing: Daniel Deronda, for instance, which I want to be the basis of an essay on George Eliot and marriage, and the Pennington novels by K. M. Peyton. But it seems as if many of this summer’s new books were in the OK-to-pretty good range (Finding Nouf or Burial Rites, for instance) or were fun enough without being much more than that (My Cousin Rachel or Friday’s Child). I kept up my usual blogging over the summer, of course, with posts on my reading but also some reflections on teaching, including this reflection on facing my 20th academic year at Dalhousie. In as-yet-unpublished writing, I completed a prospectus of sorts for my George Eliot book — a conceptual sample, I would call it, something to clarify, if only for me, what kind of thinking and writing I want the book to represent. I also wrote a short piece that I submitted, experimentally, to a publication that has yet to get back to me about it (it has been 4 months and 10 days since I sent it in, but who’s counting?). At this point I’m mulling ideas about how to repurpose it, since rejection has always seemed the most likely outcome. I wrote three stand-alone pieces for Open Letters this summer. One was my version of our ongoing “Title Menu” feature (our attempt to take the popular form of the “listicle” and make it something more substantial and interesting than link-bait); my offering was “8 more George Eliot novels,” from Soueif’s The Map of Love to Cynthia Ozick’s The Puttermesser Papers. 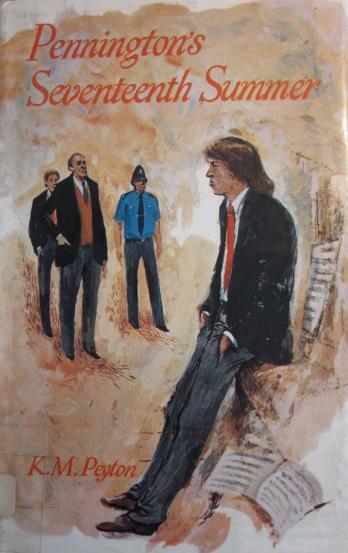 Then I wrote an essay about K. M. Peyton’s Pennington series, for no better reason (and really, is there a better reason?) than that they are longstanding cherished favorites of mine. I had started making notes for it before the bookish internet went berserk over a piece decrying the popularity of “Young Adult” fiction among old adult readers, and my thinking about that whole kerfuffle influenced the way I ended up framing my essay, which I thought might be received as a thoughtful contribution to the debate. I guess I should not have been surprised it didn’t get picked up at all by the people who were raging away about YA fiction just a short while before: everyone had moved on to the next thing, and also the essay is long, thoughtful (I hope) and avoids extreme declarations and hyperbole in favor of careful reading. That is not what you do if you want to play Internet Outrage! Which I don’t, really — imagine the collateral damage to one’s peace of mind! But it would be nice to be recognized a bit more widely as having something interesting and relevant to say. My most recent piece is also for one of our ongoing regular features, “Peer Review,” in which we survey and comment on a book’s critical reception. Mine looks at the criticism to date of Elena Ferrante, whose Neapolitan novels in particular have attracted a lot of very positive (and, as I discovered, very uniform) attention. I found it a very interesting essay to work on, and now I’m watching the expected flood of coverage for her latest, Those Who Stay and Those Who Leave with much curiosity to see if anyone breaks the mould. The Wall Street Journal’s review calls it “startlingly frank,” which is right out of the usual playbook. Here too I found myself exploring territory — specifically, debates about women’s writing, anger, likable characters, and “chick lit” — that have been the subject of high profile, high stakes online exchanges. We’ll see if it sparks any discussion. It amused me to find myself doing a version of metacriticism again! On a much smaller scale, I pitched in for our annual Summer Reading feature, and again for a Title Menu round-up of lesser-known works by major writers. Two other projects provided some excitement in my summer. One was the Twitter Q&A I did in June with Stephen Burt as part of the Atlantic’s 1 Book 140 reading of Middlemarch. I was very gratified that my Middlemarch for Book Clubs site was highlighted as a resource for this, and Stephen and I had a lot of fun going back and forth about the novel. Indeed, we had so much to say to each other that we didn’t end up entertaining very many outside questions! But any time anyone wants to talk Middlemarch with me on Twitter, you know where to find me. Then in July I worked with Matt Jakubowski on an interview for a series he’s beginning on critics and criticism. He sent me very thoughtful but also generously open-ended questions to answer by email and then patiently cut my long replies down into something manageable. I don’t usually think of myself as someone who has much visible presence as a critic (so many people review so many more books, so much faster, in much more prominent venues) — so I was flattered at Matt’s interest. I also found it useful, as well as motivating, to think about myself as a critic in the ways his questions presupposed: I do have a small but growing body of non-academic critical work to reflect on, now, and I think it is in fact underwritten by ideas about what criticism is or can be, as well as what kind of critic I want to be — or, what kind of critic I can be that might make my work distinctive. My personal accomplishments for the summer include two trips, one to Boston for an editorial summit (and, of course, some book shopping) — the other to Vancouver, for my parents’ 50th wedding anniversary festivities (and, of course, some book shopping!). I also got a tooth capped that has been broken since third grade, solved (I hope) an eye / contact lens problem that had had me looking weepy for about a year, and developed what turns out to be a “tendinosis” that put a stop to my plans to step up my running routine — that, too, I hope will be resolved soon, as I have been to see a physiotherapist at last and begun a healing regimen of exercises. None of this is exactly the kind of stuff that counts as being productive, but the store of books means more reading and writing to come, and self-care has its own value as well. And now, it’s time to look forward! I’ll be keeping up my regular teaching posts: it will be the 8th year for “This Week in My Classes,” and while there’s bound to be some repetition in the themes and problems that come up, there’s always something new going on — this term, starting with teaching Villette in my 19th-century fiction class. I also have a sabbatical to look forward to in the winter term: my goal for this term is to keep up enough momentum on my writing that I can make the absolute most of that precious time. This may mean not writing as many smaller pieces — book reviews, for instance — that don’t serve my larger goals: I’m not someone who can crank out prose in a hurry, and “even” a review typically takes up a lot of mental space for me. On the other hand, sometimes being busier makes me more efficient, something I’m often aware of as I look back, as I have done here, at the results of my summer and find that I got as much if not more writing done in the midst of teaching! If I’m guessing correctly, the Celine Dion reference is to Carl Wilson’s Let’s Talk About Love. Mary Gaitskill’s wonderful piece on Dion ran on Slate this spring. That’s the one! Our library has it and it was supposed to be on the shelf but when I went to get it, it was mysteriously not in its spot, so I’m going to try again in a few days in the hopes that it was just out on a table somewhere. Thank you for the link to the Slate essay: I’m off to read it right away. You had a very full summer! Fall will be like a vacation. Just kidding! Is your tendinosis in your foot or ankle? I have it in my right wrist and as long as I keep up with my exercising it doesn’t bother me too much though it will flare up now and then for some unknown reason. I hope your physiotherapist has you on the mend soon! It seems to be a tendon running from my heel up into my calf. I couldn’t point it out on an anatomical diagram, but the physiotherapist managed to find it rather adeptly with her painful poking fingers! I thought the problem was plantar fasciitis because initially my heel hurt. I guess everything’s connected! I’m glad your wrist problem is manageable. I worry about repetitive stress injuries in my right hand too, from typing and mouse use — and now also scrolling or pecking things out on my iPad. We should all take ice breaks regularly or something! 8th year of blogging about your teaching – congratulations, just for that! Thanks: time flies! I’m starting to feel a bit awkward that I write about the same classes so often — but 19th-century fiction is, after all, what I was hired to do! Plus detective fiction is my “big” class, which makes it a staple. And looking back through the archive I see that over time I have cycled through quite a number of other courses, especially “service” or intro ones. No two years are ever exactly the same, either. I sympathise with any wistfulness about the loss of peace and quiet … but trust you will find yourself re-energised as you get back into the swing. Certainly sounds as if you’ll be busy. And, should time allow, do persevere with Dunnett’s House of Niccolo series. I did, and ended up preferring them to The Lymond Chronicles. Should love to hear your views. Thanks, Min! So far so good, though a first-week-of-term cold has not helped. A cold is nothing compared to cancer, though, so best thoughts to you. I’m definitely going to keep up with the Niccolo books, but I’ve been madly in love with Lymond since 1989: it’s hard to imagine him being beaten out.